Hello and welcome to the internet home of Rottweiler Zwinger vom Schönen Dorf. My name is Scott Norris and I am the owner. We are a small, hobby Rottweiler kennel formerly of Northwest Florida, soon to be relocated to Jacksonville, Florida. We are a “Code of Ethics” Rottweiler breeder of 100% German line Rottweiler puppies. We are proud and active members of the ADRK (Allgemeiner Deutscher Rottweiler Klub e.v.) and the RKNA (Rottweiler Klub of North America). Showing and breeding rottweilers is an enjoyable hobby for us. We are very active in the ARV, RKNA, & AIRK German style conformation shows here in the US. Our passion and devotion is for this wonderful breed. We are Rottweiler enthusiasts that spare no expense in our dogs or our Rottweiler breeding program. We invest all we can into the breeding, raising, socialization, feeding, showing and training our rottweilers. Our goal at RZvSD Rottweilers is to produce the highest quality German line Rottweiler puppies that possess correct structure, genetic soundness, excellent temperaments with strong working drives that will excell in the show ring and on the schutzhund field. All rottweilers here at RZvSD are Pink Papered German Rottweiler Imports or are out of German Imports. We have chosen the German lines specifically because of the strict ADRK breeding requirements. The Zuchttaughlichkeitsprüfung or Ztp (Germany) – is a breeding test where qualified ADRK judges evaluate the rottweilers and a written critique of the entire test is provided to the owner. Each dog has three attempts to pass the ZTP. If the dog cannot pass, the dog is deemed “NOT BREEDABLE” in Germany. The German system for breeding rottweilers is second to none in identifying and promoting the absolute best breeding rottweilers. It is this system that allows the ADRK to continue to make strides in the advancement and betterment of the all-around Rottweiler. In addition to shouldering the responsibility for maintaining the breed and its integrity in Germany, the ADRK serves as the Head Breed Warden throughout the world. In Germany, your rottweiler is more than a pet, it is a working partner and a true member of the household. The rottweiler is welcome every where such as; on the streets, in restaurants, on the train, and many more places In Germany, the rottweiler is truly “mans best friend”. For those of you who are new to the Rottweiler breed, please be aware that the “European Rottweilers or European bloodlines” are not the same, nor are they equal to the German bred Rottweilers. Only the German born dogs have been bred with the strictest standards in the world! Also, many breeders will say that they breed German Rottweilers. Most do not, they breed American and or European lines with a few German dogs scattered throughout the pedigree. When looking to purchase that Rottweiler puppy, Rottweiler youth or Rottweiler adult, please find a “Code of Ethics” Rottweiler breeder and do a lot of research on the parents of the Rottweiler you are wanting to add to your family. The Rottweilers pedigree is of the utmost importance and cannot be stressed enough. Here at RZvSD not only do we offer German line Rottweiler puppies for sale, whave a new Pink Papered German Import Rottweiler stud, “Wasko von der Urbacher Höhe”. Wasko is now standing at public stud to females of merrit. Please see our rottweiler males page for info on him and his stud service. Also, if your desire is to own a German Import Rottweiler puppy, Rottweiler youth or Rottweiler adult. I can make that dream to come true for you. 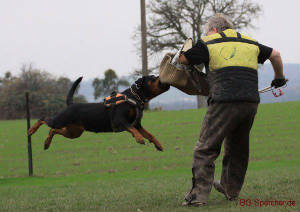 I have many great contacts with some of the top German Rottweiler trainers/breeders/kennels in Germany. As a result of the friendships I have made with them over the years, I am able to import some of the best rottweiler bloodlines available. To find out more about the German line Rottweiler puppies for sale here at RZvSD, go to our litters page to see our current breedings that we have available now, or that we have planned in the near future.